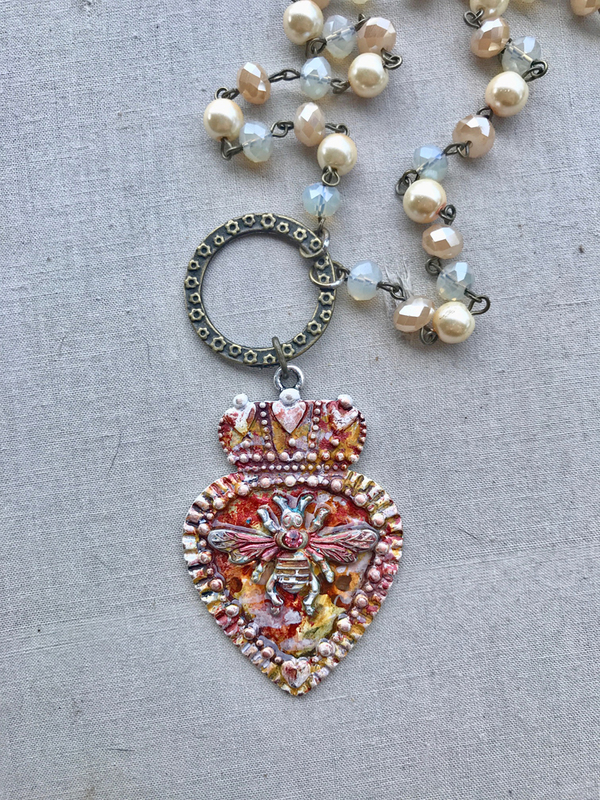 This wonderful vintage styled and inspired bee necklace features a hand painted crowned heart pendant with a rustic bee in the center. 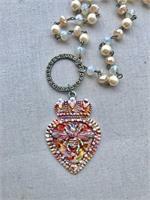 This pendant was handmade in the Dry Gulch studio! 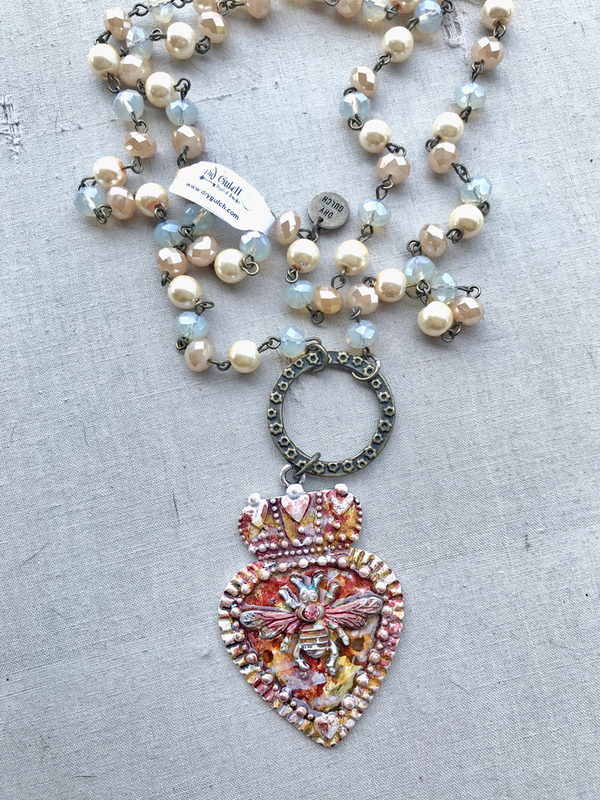 The necklace portion is made of our beaded pearl chains. 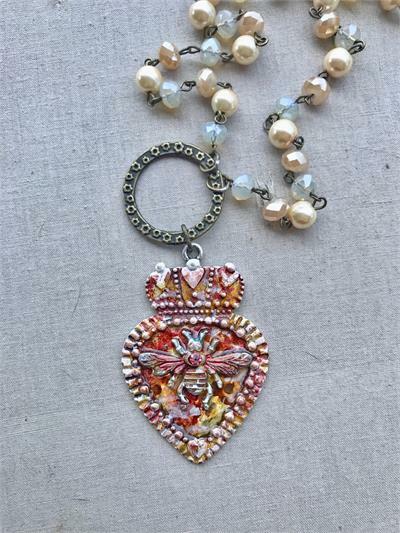 The necklace portion is 34" inches long and the pendant is 3.5" inches long for a total necklace length of 39.5" inches long. There is no clasp, but this necklace is long enough to go over the head.